1. On the way down, we stopped at Ocmulgee National Monument in Macon, Georgia. 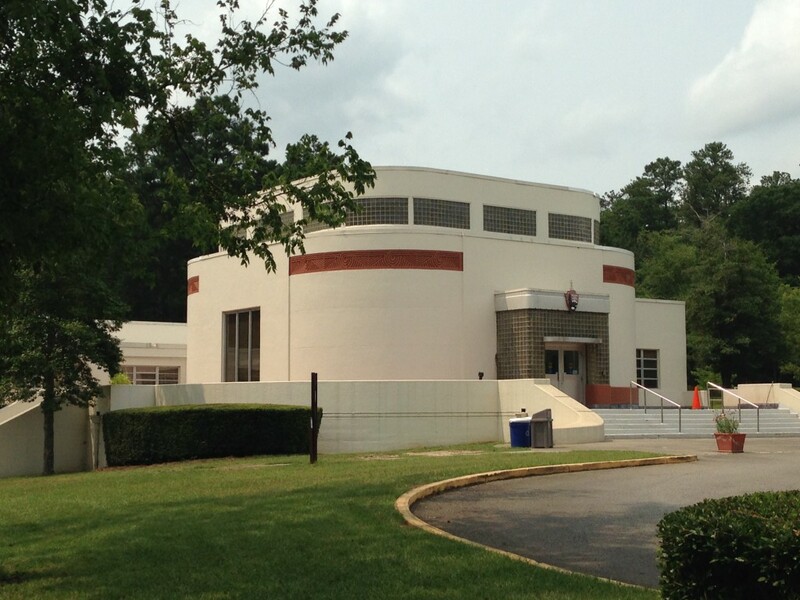 This is run by the National Parks Service and features a WPA-built visitor center. The site itself is quite large and boasts “17000 years of continuous settlement” in successive waves (Paleo-Indian, Archaic, Woodland, Mississippian, and colonial). One major site is a reconstructed council chamber, designated the “earth lodge,” with a circle of seats around the outside, each one larger and higher until one reaches a platform across from the door, with three seats on it for the leaders. There was a fire pit in the middle and four oak trunk pillars holding up the roof. Unfortunately, the interior was too dark for good photographs. 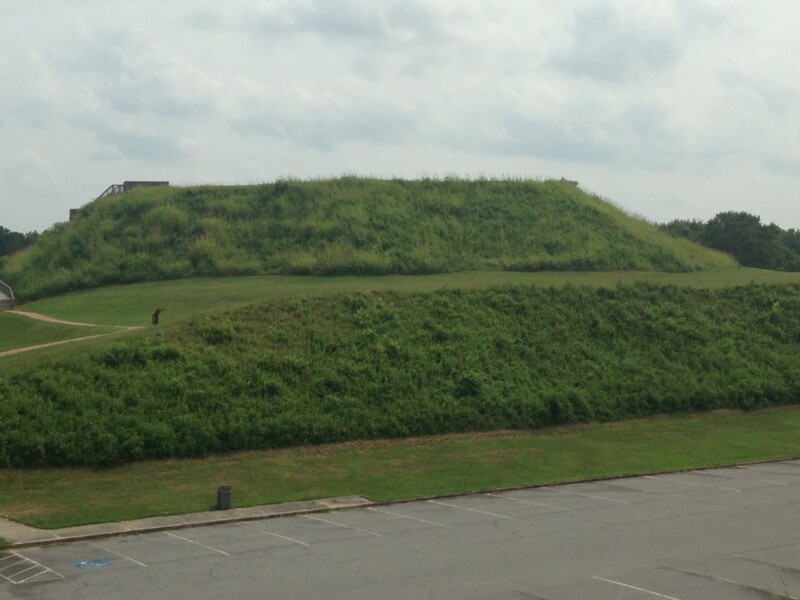 In common with the Etowah, Cahokia, and Kolomoki sites, Ocmulgee has a large temple mound, built up over many years, one basketful of soil at a time. The parking lot in the front is actually a former railway cutting which destroyed two-thirds of another mound in the nineteenth century. To think that people used to do this! 2. 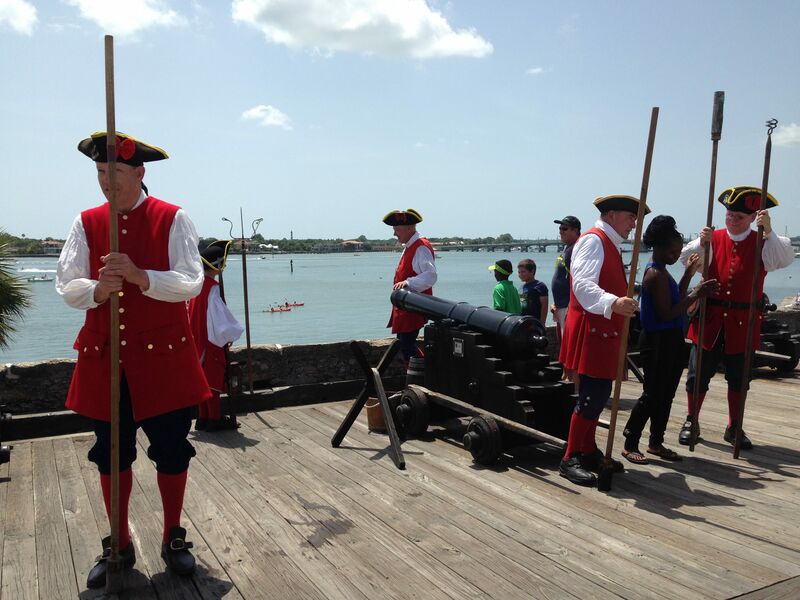 We then headed on to St. Augustine, Florida, which we had been wanting to see for some time. Like Charleston, S.C., and Savannah, Ga., it is a coastal settlement from the early days of European contact; unlike those cities, it is significantly older, having been founded by the Spanish in the mid-sixteenth century. Unfortunately, today it is also a lot more touristy, since it it within the orbit of Disney World and possesses a nice beach. 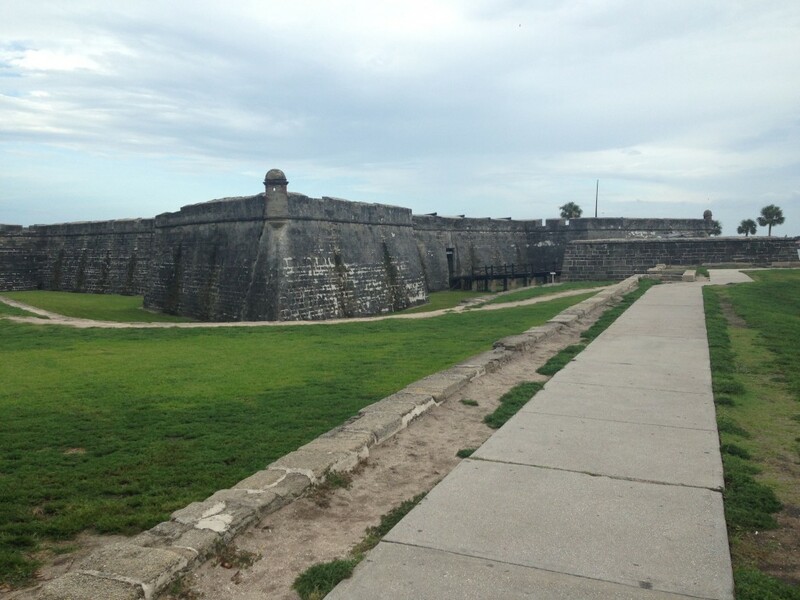 But the Castillo de San Marcos remains a well-run historical site. The fort itself dates from 1672. It was transferred to the British in 1763 after the Seven Years’ War, and back to Spain in 1783 after the American War of Independence. It became American after the United States annexed Florida in 1821 (and was briefly Confederate in 1861-62). It was last used for military purposes during the Spanish-American war, when it served as a prison for deserters. These and other aspects of the fort’s history are detailed in signage and presented by uniformed guides, some of whom will demonstrate firing a canon at set times. 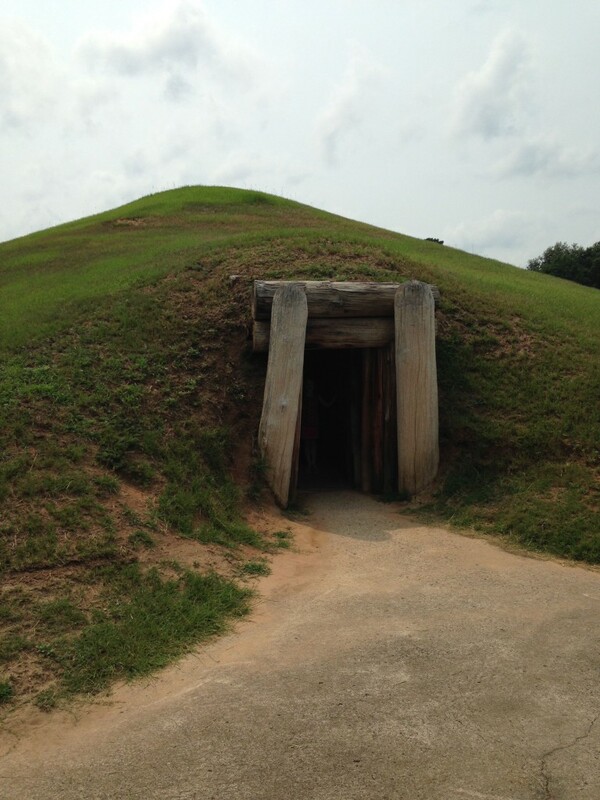 This entry was posted in Archaeology, Civil War, Confederacy, Georgia, Latin America, Museums, Native America, Prehistory, Southern History, Travels, United States by jgood. Bookmark the permalink.